I spent this afternoon with these two, toddler and his little friend. They are just a few weeks apart in age, both 26 months. The weather wasn't at its best but that didn't stop us having fun throwing pebbles into the sea. Then we chased each other along the promenade. If you need a workout just look after two toddlers all day, they will wear you out! ;) What did you get up to today? 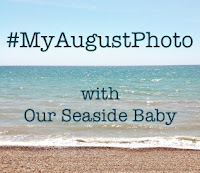 Toddlers AND the beach (well, pebbles)? You must have been exhausted! Aw! A couple of cuties having a load of fun! Fellow linker from Coombe Mill. 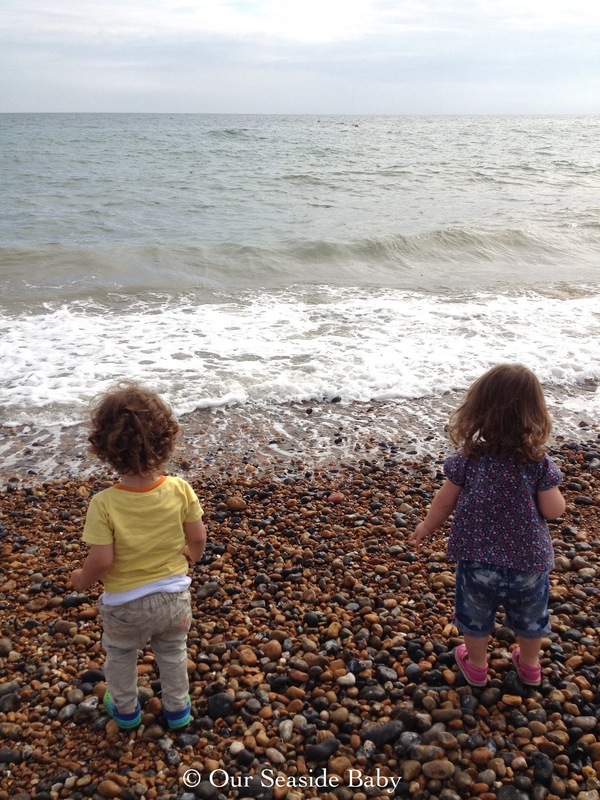 I can't think of a better place to take 2 toddlers for the day than to throw pebbles in the sea at the beach! A lovely photo. Thank you for sharing with me on Country Kids. How very adorable is that?!?! I love those super sweet little toddler booties! So cute! Thank you for joining us at Photo Friday this past week! Aww they do look so cute together!